The Aorus gaming notebooks now feature an overclockable Intel Core i7 processor, NVIDIA GeForce GTX 10 series graphics, Thunderbolt 3 connectivity, as well as up to 64 GB of memory and flexible storage options. We already heard that Aorus was selected as the winner of a new CES Innovation Award, achieving this for the second year in a row. The 15.6-inch X5 gaming notebook was the product that helped the company get the award again. Same as other players in this field, Aorus also updates its lineup of gaming portables with the latest Intel processors and NVIDIA GeForce 10 series graphics, as well as Thunderbolt 3 connectivity. All the machines above, including the compact 13.9-inch X3 Plus v7, come with a Kaby Lake overclockable processor, namely the Intel Core i7 7820HK, as well as Thunderbolt 3 connectivity. Details on the available configurations, pricing, and availability should surface soon, so stay tuned. In the meantime, you can see these gaming notebooks at CES. 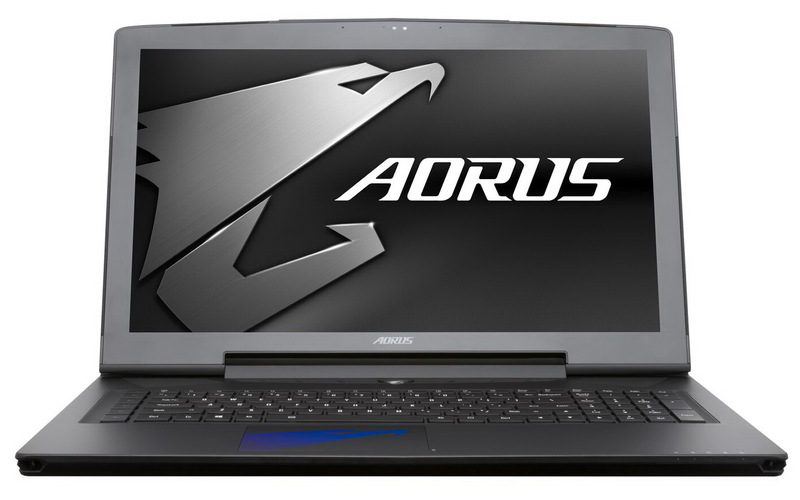 By winning the 2016 CES Innovation Award, it comes as no surprise that AORUS reiterated its success in 2017 CES Innovation Award with the 15.6” X5. In order to claim another prestigious CES award, AORUS upped its game even higher by packing the latest 7th Gen Intel® Core™ i7 Processor, GeForce® GTX 10 series graphics and Thunderbolt 3 connection, into a very light and thin chassis. All the excitement is here at CES 2017. AORUS has equipped the Skylake architecture 6th gen Intel® Core™ i7 for well over a year. The time for a change is here as AORUS introduces the new “Kaby Lake” processor with its next generation laptops. The new 7th Gen Intel® Core™ i7 Processor sure outperforms its predecessor in every aspect, with increased clock speed and graphics core, for extra gaming and multitasking performance. 4K UHD content has been an increasing trend in recent years, which is why the new Core™ i7 Processor includes HEVC10b and VP9 decoding for smooth 4K processing capabilities. Besides having the latest top of the range Core™ i7 Processor, AORUS has listened to gamers and added Thunderbolt 3 (USB Type-C) port connectivity to the new X5 and X7 series. With Thunderbolt 3, gamers can now connect external graphics card, experience next generation transfer speeds at 40Gpbs, connect two 4K displays running at 60Hz, reversible connection and much more. Thunderbolt 3 is the one small port that does it all. AORUS is all about packing a punch within a light and thin aluminum gaming grade chassis, with a stealthy slick design cue. The already-powerful X5 and X7 series gets a refreshed version with the latest extreme overclockable 7th Gen Intel® Core™ i7 Processor. From the looks and feel of the chassis, it is hard to believe that AORUS has packed a desktop equivalent GeForce® GTX 1080/1070 graphics within, while retaining a class leading thinness of just around 25mm. All that horsepower is put to good use with options such as the 1440p 120Hz high-quality display, which provides buttery smooth images while gaming across all game genres. RGB-lit keyboards remains a trend in the gaming industry, AORUS stayed ahead of the game to be one of the earliest laptop brand to feature fully per-key RGB backlit keyboard with 16.8 million colors and fully fledged RGB lighting effects through the AORUS Fusion software, which gamers can customize to their heart desires. AORUS has also upped the audio performance by working with ESS, providing gamers with true audio performance and gaming advantage through the intergraded Sabre Hi-Fi audio DAC. For gamers that prefer a smaller laptop form factor, the AORUS X3 plus v7 is sure to outperform all expectations and excel with ease. Comes with top-tier gaming hardware components such as the 13.9” IGZO QHD+ 3200x1800 high pixel density display, latest core™ i7 overclockable processor and a dedicated GeForce® GTX 1060 graphics. The AORUS X3 Plus v7 comes very close to its bigger brothers when it comes to gaming performance while amplifying the term “mobility”. This is what a true compact yet mighty machine should be.